Work in Hazeldell began with mandarins. Unlike a lot of the varieties of oranges we will be picking, the weather doesn’t have any impact on the fruit when it’s picked. This is good for us because it means we can pick right through the day, this is also bad for us as it means we have to get up before sunset, which as a positive is often spectacular, and can sometimes work until the sun goes down. The other problem with picking early is the cold. Sometimes there’s a frost in the morning, or a thick fog and you can’t feel your fingers. It gets worse when you reach out for the first mandarin and feel the skin, cold and crisp penetrating through your gloves. We agreed to pick as a team of four, myself and Yves clearing the bottoms, with Sabrina and Bastien picking the tops. 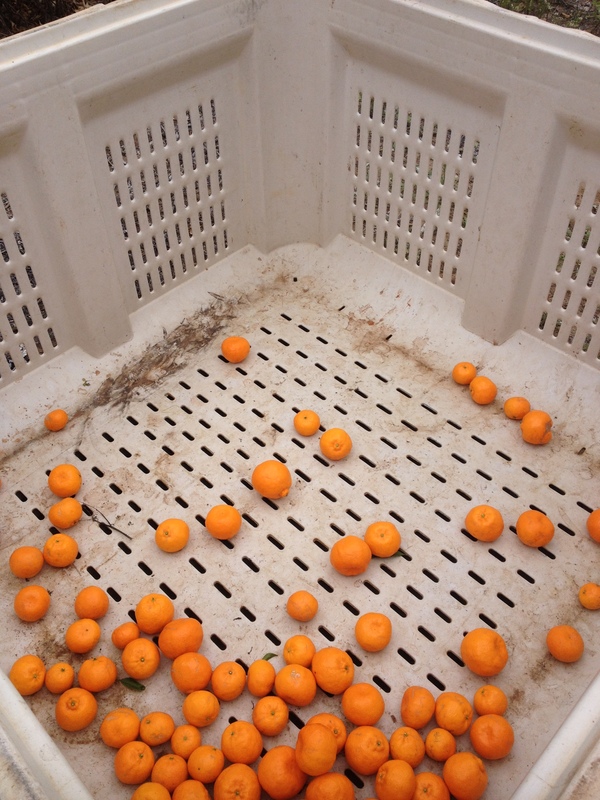 I think that this turned out to be a pretty good plan because a full bin of mandarins will earn you around $80 and with us picking an average of five a day we were making some reasonable money for the first time. The other benefit to picking as a crew was more psychological than anything else. A bin of oranges requires 28 bags to be full, you can fill a bag in about five minutes and so the bin fills very quickly. Mandarins on the other hand take a lot longer; it takes around 30 bags to the bin but because of their much smaller size it takes three, sometimes four times as long to fill a bag. Every time you go back to the bin with your bag of mandarins it seems like nothing has changed. The other main difference is the picking technique; with oranges you can grab one with each hand and essentially rip them off the tree. If you pull a mandarin too hard, the stem tears the top of the skin off and you’re left with two choices; toss it or eat it. So, instead you have to hold it in your hand and clip it off the tree with a pair of secateurs. On one occasion Bastien and I had to pick around a bird’s nest with two chicks in it which made things a little interesting as we tried our best to avoid disturbing their home. 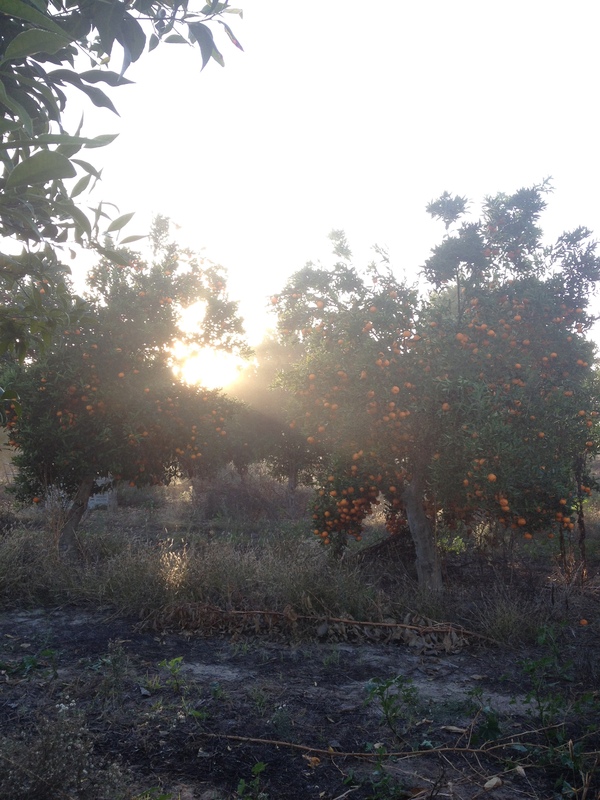 As we finished the mandarins, there was a small patch of oranges that needed picking. Unfortunately the season has arrived late this year and while there is plenty of fruit on many trees, a lot of it is still under ripe and we’re fortunate to find enough work to make any money at all. As I’ve said the oranges are picked much quicker and I think if we’d had a full day we’d have probably managed to pick somewhere around 10-12 bins a day if we were able to start early enough. 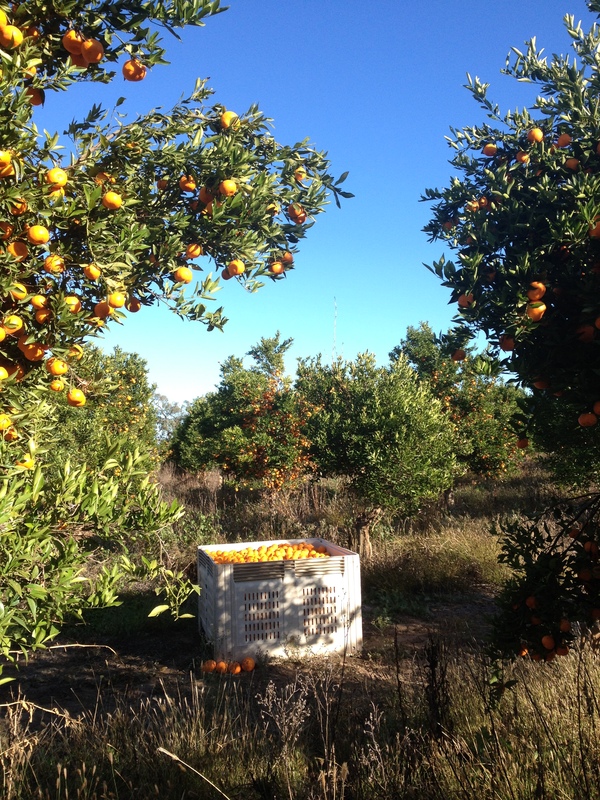 The only major downside to the speed you can pick oranges is the price which is usually around $25 a bin. After a long day picking we all had our share of aches and pains. 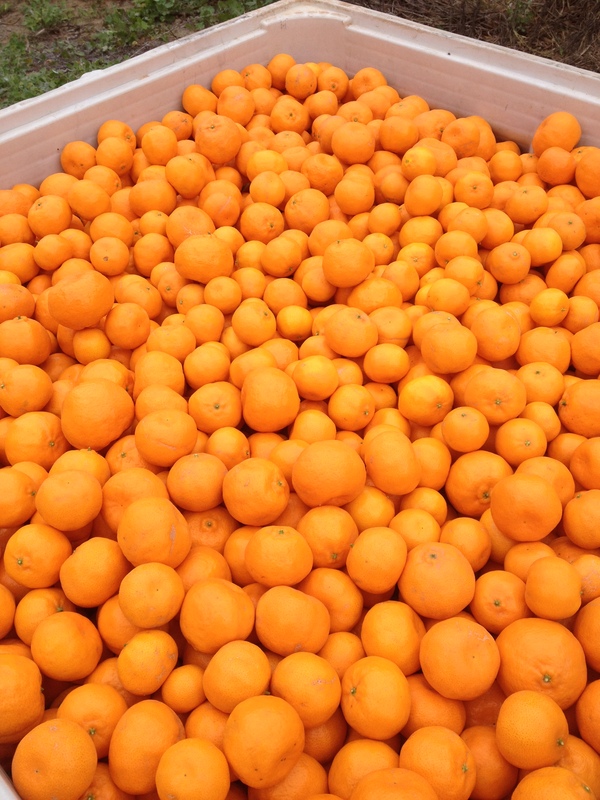 Picking in the bottoms mean you have to reach and squat with the added weight of mandarins hanging from your shoulders. In the tops, you have to constantly move and adjust yourself to stay balanced on the ladder. 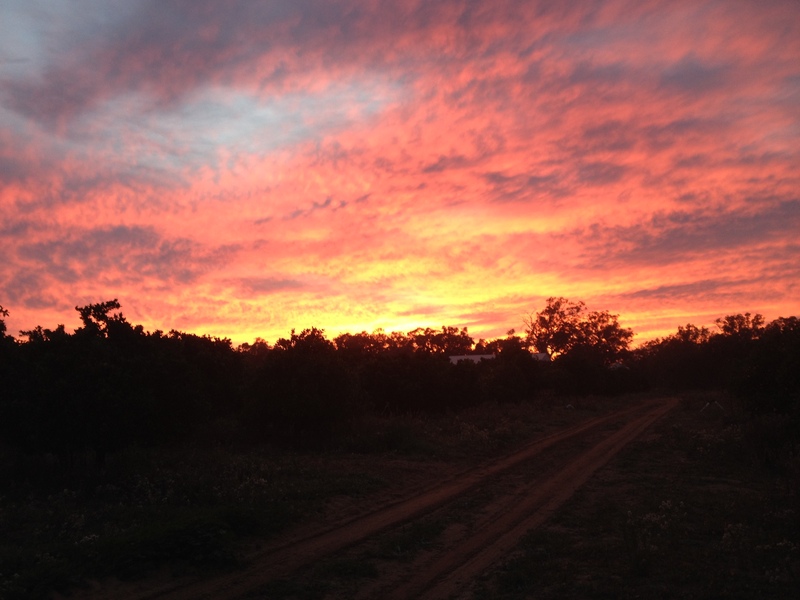 All of us would come away with scratches on our lower arms and legs and I’m not almost certain that all citrus trees begin life as short, nasty, thorny bushes that well defend their fruit from the prying hands of pickers like ourselves. Once we’d filled our last bin though, we were finished for the day. We could drop our picking bags and walk back to the house for a cold beer and a hot shower. On evening, the farm owner bought us back some emu eggs as a gift. Wonderful, I thought. As a lover of eggs I was pretty keen to see how big an omelette we could make with such an egg. Without a second thought for the fact that this was an egg brought in from the wild, two of my fruit picking pals; Fiona and Sabrina decided they would try to cook with it. As they figured out how best to open it, something occurred to me. 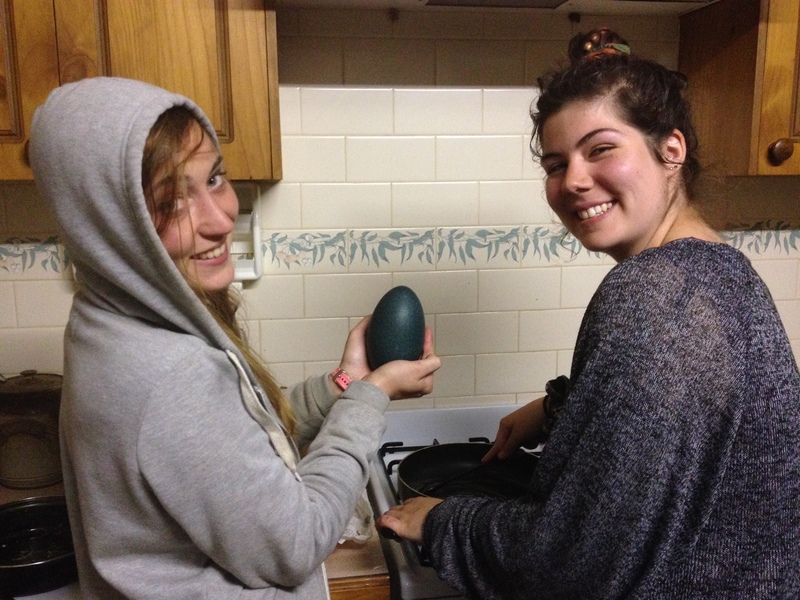 We had no idea how long this egg had been laid for. What if we crack it open and a near ready to hatch emu tumbles out. I voiced my concerns as the egg was broken and as a thick yellow liquid oozed out, so too appeared the under developed head of a baby emu. I can’t tell you what emu tastes like, nor emu eggs because the smell and the sight was enough to put all of us off taking our experiment further. At this point our day is essentially over, we’d sit around for a while as everyone got clean and then it would be time to put some dinner together and once we’d eaten, it wouldn’t be too long before we started drifting off to bed.